In the previous post we discussed Acidic Soils and how to neutralise the acid compounds, today Alkaline Soil will be the topic of interest. Although Acidic Soils are very common there are areas where it is the Alkalinity in the soil throwing gardening ambitions out the window. Alkaline Soils contain a pH level higher than 7.0, this means that the level of Calcium, Magnesium or Sodium in the soil are highly present. This is not to be confused with Sodic Soils (Alkali) where the level of Sodium is around 8.5 destroying the clay in the soil turning it Hydrophobic. Alkaline Soils are mostly common in areas where the base rock is Limestone. This is also known as Calcium Carbonate or where the existing Calcium in the soil is not washed away. Irrigation can also cause the Alkaline in the soil to increase, continuous watering containing a very high lime content will dramatically increase the Alkalinity Level which can cause the water to puddle affecting drainage. 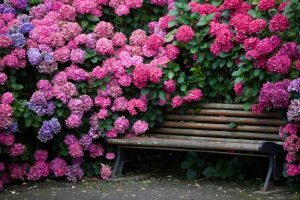 Hydrangeas thrive in Alkaline Soils appearing Pink, however in Acidic Soils their flowers are Blue! The presence of Sodium Carbonate increases with natural weathering man-made causes or over-use in Limestone to treat Acidic Soils. So, how can you treat such high Alkalinity Levels? Organic Matter or Compost is usually the most effective treatment. This will help acidify the Alkaline Soil lowering the pH levels by enhancing the dissolved Calcium in the water. The organic matter is being decomposed by beneficial microbes this releases CO2 which then forms Carbon Acid. Ammonium Sulphate can also be added, the Ammonium is nitrified by the bacteria in the soil turning it into Nitrate and Hydrogen Ions. Acidic Soil is a soil containing a pH level below 6, Alkaline Soil contains a pH level above 7. 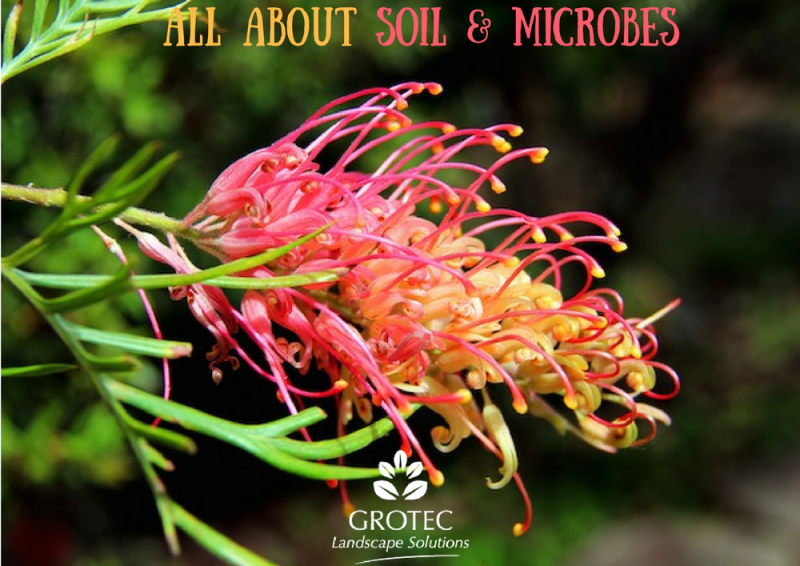 Both conditions can be difficult to treat especially when the gardener isn’t aware of the condition of the soil. Using the opposite dominating element’s compound will allow you to slowly adjust the pH levels, taking into consideration the products you are using including mulch and type of irrigation also play a big part in pH levels. Ensuring that you monitor your pH levels will allow you spot if there are any Nutrient Deficiencies giving you an easy chance to apply treatment. Although there is a plant for every soil condition there is none for all! When it comes to Soil Improving it’s a lot more then just adding in some Mushroom Compost or any fertiliser since the nutrients they provide are ideal for a quick fix or feed. Once your pH levels are balanced and you’re looking at planting you need to make sure the soil will be able and is providing enough nutrients for the plants and keep up the supply. 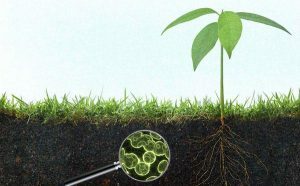 You can do this by ensuring that the Soil Microbes have access to enough Organic Matter which they then break down into Humus and begin feeding from this, not only does the organic matter provide energy for the Microbes it also supplies Carbon for the new formation of cells and many other valuable Plant Nutrients. 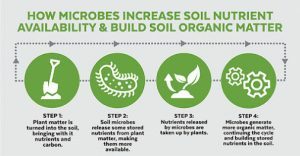 Soils that have a higher amount of active Carbon recycle release more Nutrients which is key to all plants growth and will have a greater chance in having a healthy garden thriving from the Eco-System blooming underground and in the soil. We hope that this information on Alkaline Soil and Soil Improving gives you an understanding of how important it is to make sure you pay attention to what is going on below ground all determines how everything above ground succeeds.